Cycling from the Czech Republic to Germany, along the Vltava and Elbe Rivers, picture the romance of it all. 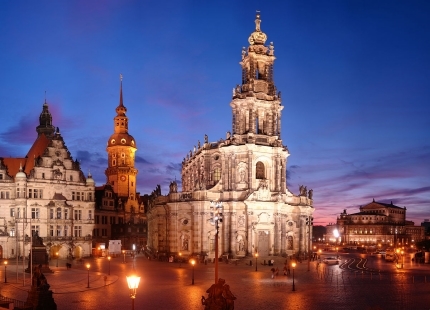 Starting from Prague, a City of a Hundred Spires, a UNESCO monument and one of the most beautiful locations in the world, you cycle to Dresden. Discover the magnificent promenades on the bank of the Elbe, interesting museums and architecture, world class cultural life, charming hospitality and warm welcome. Well marked bike trailswinding their way through the countryside along the banks of the river, make this a relatively easy bike tour. We start by cycling to Melnik, the centre of winemaking in Bohemia then through the fertile countryside. The most impressive part of the tour is the region called Czech and Saxon Switzerland. Ride you bike along a steep-sided river valley with fantastic sandstone formations towering above. Once in Germany, the bicycle trails are a joy to follow. There are more than 200 long-distance bikes routes in Germany set away from busy roads, with some completely car free. Each route has its own name, and signs keep you headed in the right direction. Along the way, friendly German people provide riders with regional cuisine, warm hospitality and a helping hand if you need one.